VIRGINIA TECH 68, CLEMSON 63 -- The knock on Clemson in previous years has been the Tigers’ inability to make free throws and last night that weakness came back to haunt them. Several Clemson players missed the front end of one-and-ones while Bryan Narcisse and Devin Booker each made one of two tries in the final minute. Clemson was 9 of 15 from the charity stripe for the night - 60%. 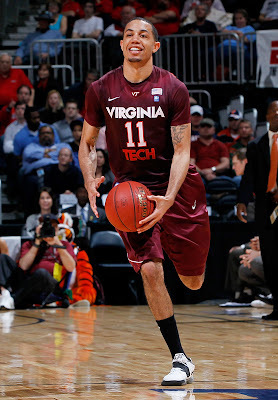 Virginia Tech point guard Erick Green scored 24 points as the Hokies went on a 9-0 run to take the lead late in the game and hung on to beat Clemson on Thursday night in the first round of the ACC tournament. Green’s 24 points were the second-most for a Virginia Tech player in an ACC Tournament game. A.D. Vassallo had 26 points against North Carolina in the 2009 quarterfinals. 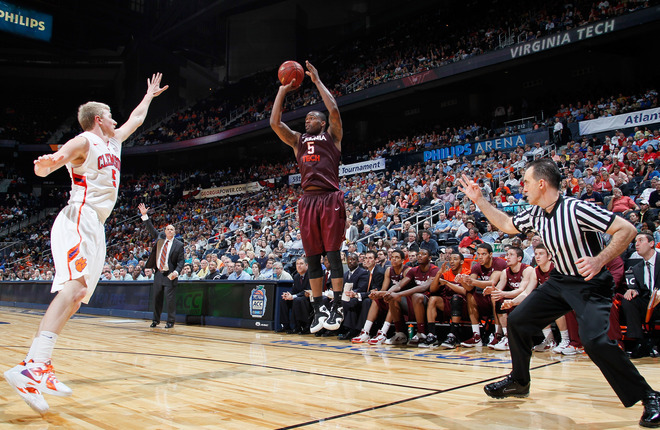 Dorenzo Hudson’s 19 points tied Malcolm Delaney for fourth-most by a Hokie in the tournament. There were 10 ties, the last at 52-52. Clemson, the No. 7 seed, then went about 3 minutes without scoring as Virginia Tech, the No. 10 seed, took the lead. 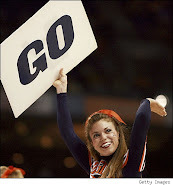 The Hokies (16-16), who ended a four-game losing streak, will play No. 2 seed Duke in Friday night's quarterfinals. Clemson's Milton Jennings hit a 3-pointer with 17 seconds remaining to cut the Hokies' lead to 68-63. After Dorenzo Hudson made two free throws for Virginia Tech, the Tigers couldn't make another 3. Devin Coleman led Clemson with 15 points. Jennings and Andre Young each had 13. Tanner Smith had 12.